In the light of the removal of government subsidy on Premium Motor Spirit (PMS), the Acting Director General, National Orientation Agency (NOA), Mrs. Ngozi Ekeoba calls on Nigerians to show understanding and cooperate with government by not taking undue advantage of this well intentioned development to hike the cost of goods and services. This was disclosed in a statement made available to media by the Deputy Director, Press, of the agency, Fidel Agu on Thursday. 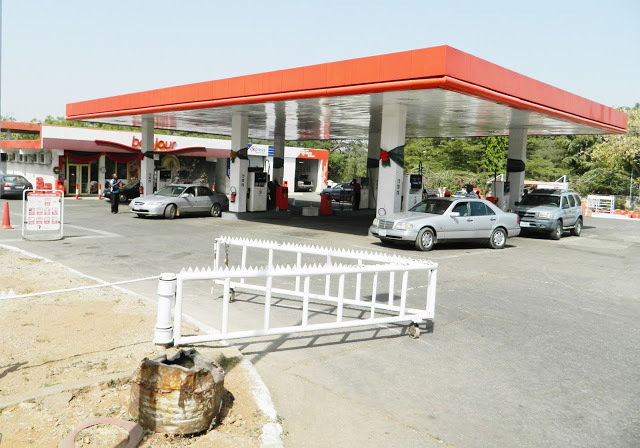 The statement said that Nigerians are admonished to embrace the No Subsidy petroleum regime. It is a necessary and inevitable policy of government in the interest of our economy, though temporarily painful. It stated that government is not unmindful of the hardship that Nigerians have had to face in the past months owing to shortage in the supply of petroleum products and has therefore taken this important step to ensure the availability of the products to Nigerians at market determined prices. In addition, it said government is working out palliatives to cushion the effects of the new price regime which will be announced in due course. Mrs. Ekeoba said the Federal Government has promised the rechanneling of funds to be saved by this removal of petroleum subsidy into the provision of necessary infrastructure for all Nigerians. Also, she said the Federal Government has promised to revive all existing petroleum refineries in the country in the coming months and license the establishment of modular refineries which will soon commence production. DG said these will ensure sufficient local availability of refined petroleum products and eventual exportation of same for greater economic gains for our country. She said NOA therefore, appeals for understanding on the part of organized labour as the decision to remove petroleum subsidy at this time was thoroughly considered by government and consultations widely made in the interest of all Nigerians. Moreover, Ekeoba said the removal of petroleum subsidy is part of government’s efforts to curb systemic corruption which had become endemic in and through the subsidy regime. She said indeed, government deserves commendation from labour for finally demonstrating the political will to put an end to the continuous hemorrhage of our collective resources through subsidy. She added that in view of the current security realities in our nation, labour must also be wary of the possible dangers of mass actions in expressing contrary views to the subsidy removal in order to avoid likely hijack of the process by miscreants. “Labour is admonished to maintain the use of dialogue as the most potent means of resolving differences at all times.” She said. DG urged Nigerians who voted this government with faith in its Change mantra to reposition the nation for a better future to give this government the needed support and benefit of doubt knowing that it has the best and overall interest of all Nigerians at heart.